Göteborgs Rapé Xrange Slim Large Strong White Portion is a snus with clear elements of lavender and juniper, with small sensations of wood and citrus. 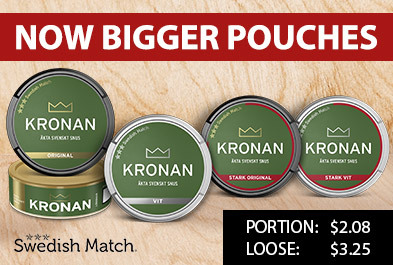 The snus comes in long-sized, white portions whose surface is dry, which gives a low runnyness and long-lasting taste. 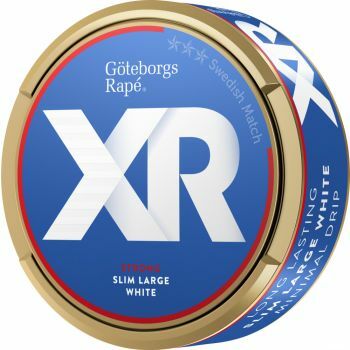 Simply this is a snus with the classic flavor of Göteborgs Rapé, which is delivered in modern and slim portions of higher nicotine content.